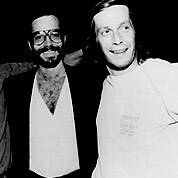 Al Di Meola is an acclaimed American jazz fusion and Latin guitarist, composer, and record producer of Italian origin. With a musical career that has spanned more than three decades, he is one of the most influential guitarists in jazz. Paco de Lucía is a Spanish virtuoso flamenco guitarist and composer. He is one of the greatest guitarist of the flamenco genre. Jazz/Latin. Flamenco. Fusion. 291 Measures. 39 Pages. Time Signature 4/4. Duet.